Over the years I must have tried almost all that hair dye has to offer so when I was offered a chance to try out the New Schwarzkopf Color Mask I was intrigued. I must have been dying my hair since I was about fifteen and it has been all sorts of weird and wonderful shades but as I’ve gotten older (and the grey is starting to creep in) I’ve tried to stick closer to my natural colouring. 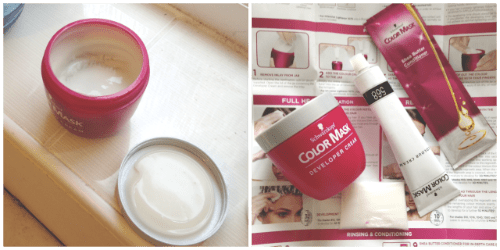 The Color Mask is totally different to most other hair dyes; firstly it comes in a little tub so you mix the formula, scoop it out and apply it with your fingers. Also it is a non-drip formula and comes with a Shea Butter conditioner to nourish and care for you after the Color Mask has added a permanent colour. When I emptied the box and found everything was slightly different I thought I’d best have a read of the instructions. There is a tube of colour cream, a jar of developer cream, 1 sachet of Shea butter conditioner and a pair of gloves. The colour cream gets mixed into a little jar, just like a hair mask and you shake it to combine. This was a winner for me as it is all contained so you can shake the tub as much as you like without worrying it is going to splat all over the bathroom. I must admit that I wasn’t too sure how easy it would be to apply after I had mixed the formula but I was pleasantly surprised. When I first started I was sure it was going to take me ages but actually it took me less time than usual and I didn’t drip any of it which is very, very unusual for me! I found it quite easy to get a good coverage and although my hair is long it is quite fine so there was plenty of product for me. After rinsing out I used the sachet of shea butter conditioner which left my hair feeling smooth and it took away the hair dye scent. I went for shade 568 Chestnut Brown which is a bit darker than I would usually go for but I was very happy with the result. 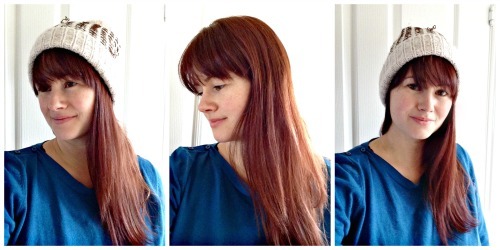 In the light it is highlighted with lovely red tones and it has left my hair feeling shiny and smooth. I would absolutely use the Colour Mask again; I would choose a lighter colour next time but I love how quickly I could apply it and that my hair felt well conditioned afterwards. 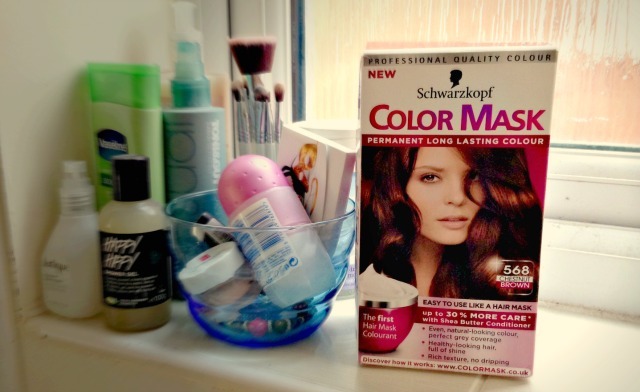 Disclaimer – I was sent Schwarzkopf Color Mask to review. All thoughts and opinions are always my own. Hi, I'm Hayley - book lover, tea drinker, Mother to three boys, always on a quest for the simple life. Hayley From Home is a snapshot of all this, Enjoy!